A "firescape" is a large area, such as an entire mountain range, where fire is an important part of ecosystem processes. A firescape also includes those areas, like the Sonoran Desert, that need to be protected from fire. FireScape is a framework which promotes managing fire across large landscapes to achieve sustainable, resilient ecosystems. The FireScape approach embraces "adaptive management." This FireScape project is focused on the Santa Catalina and Rincon mountains in Pima, Pinal and Cochise counties, Arizona. 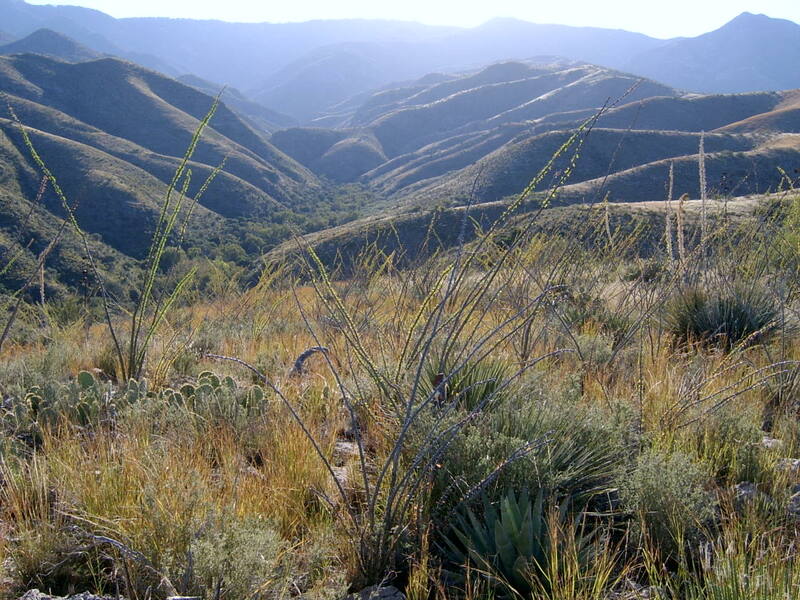 It is a collaboration of the Coronado National Forest, Saguaro National Park, University of Arizona, The Nature Conservancy, Southern Arizona Buffelgrass Coordination Center and many other partners. Pima County, Arizona State Parks, and the Arizona State Land Department manage some lands within the project area and are interested in participating. Homeowner groups, fire departments, and environmental organizations have been welcome additions to the discussion. As agency staff and University of Arizona scientists complete the project's "homework phase," which characterizes the landscape and fire management priorities, public input will be essential to determining the course of action. Although the 2002-2003 large fires in the Santa Catalinas were tragedies for many residents on the mountain, and huge expenses for taxpayers, they also represent a unique opportunity to change ecosystem management. The 115,000 acres that burned in these two fires is a far greater area than would be possible to treat with mechanical methods. However, tens of thousands of acres of dense forested land remain and these areas are as fire-prone as the areas that burned. Consequently, there is still the potential - even the likelihood - for more fires on the scale and severity of Bullock and Aspen. The Rincon Mountains present a somewhat different situation in that they lack the settlements and facilities foun d in the Santa Catalinas and have been the site of numerous prescribed burns and wildfires. 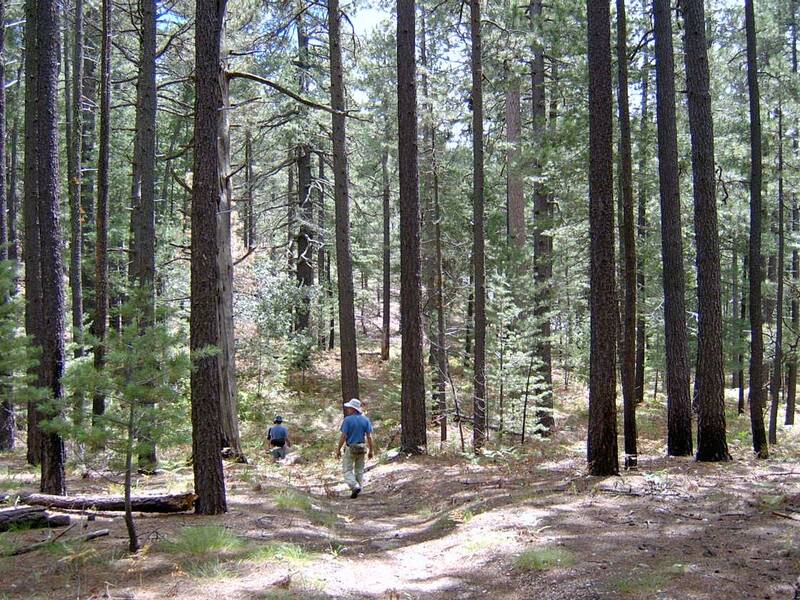 Consequently, the Rincon forests are healthier and more resistant to high-severity wildfires. However, it is essential that low-severity fires still be allowed to burn episodically in these mountains. In addition, lower elevation ecosystems, like the Sonoran Desert, are not fire adapted and need to be protected from fire. These areas are threatened by invasive plants like buffelgrass that can carry high-intensity fire. Public comments on the Catalina-Rincon FireScape project are being accepted at this time. Information on the project as well as instructions on how to comment are included in the Scoping Notice. To download a pdf of the Catalina-Rincon Scoping Notice, please click here. Updated Scoping Information (dated December 3, 2012) can be found here. **If you have trouble downloading the pdf, try right clicking on the link above (where it reads "please click here"). Choose ‘Save Target As’ and save the document to your computer. You should then be able to open the document from your files. You will need Adobe Reader to view the document. You can download it for free here.